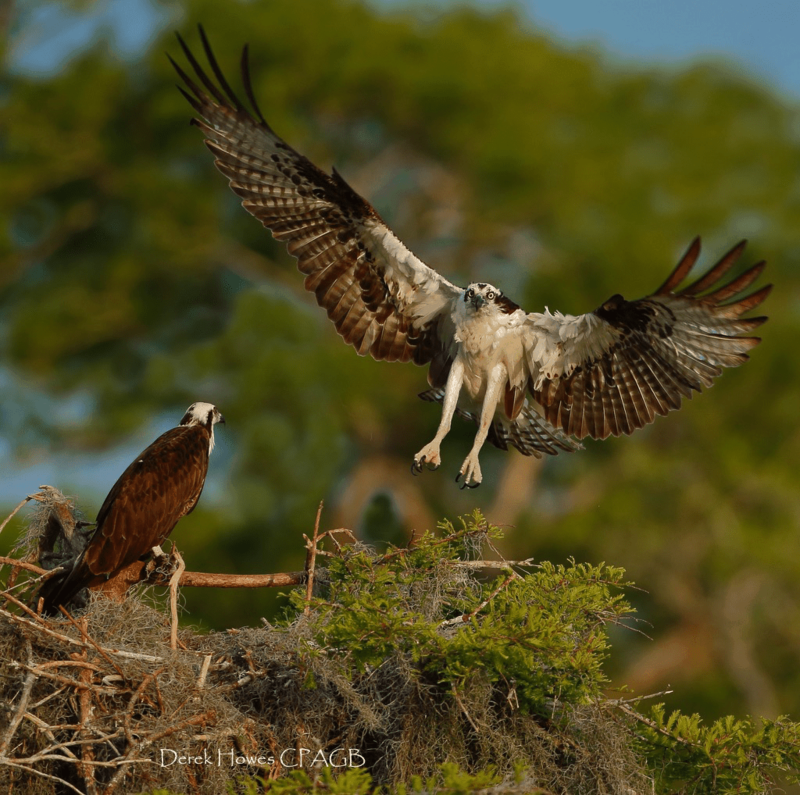 “It was about two years ago that David & I started talking about the possibilities of photographing Ospreys in Florida. We had both decided that most of the different possibilities of photographing Ospreys in the UK had pretty much been done to death & we wanted to try and get a different portfolio of Osprey images. 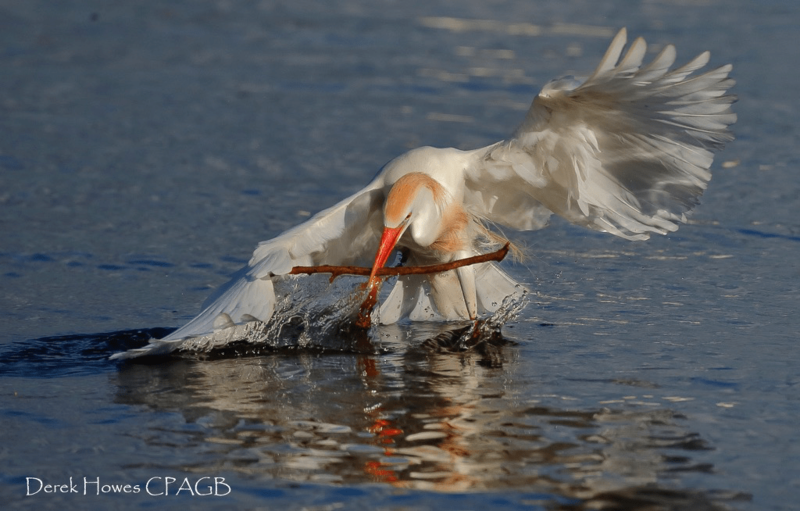 David did a lot of work in putting the trip together & also included a variety of birds other than the ospreys at ‘rookeries’ as it was the nesting season for most egret & heron type birds. 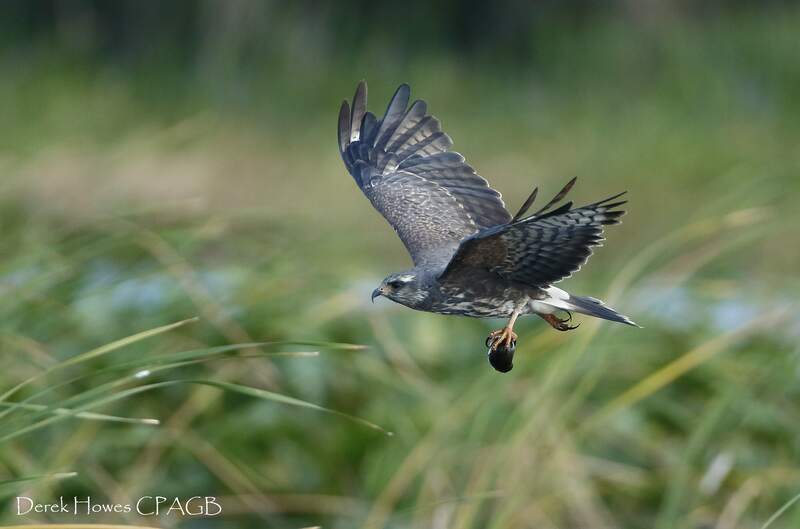 David, using his contacts in Florida, also managed to locate a site to photograph the 3rd rarest bird in North America, the Snail Kite! We all knew the trip would be good but it was not until we got there we realised how good … the photography opportunities were simply amazing & the lake setting quite magical just on it’s own. 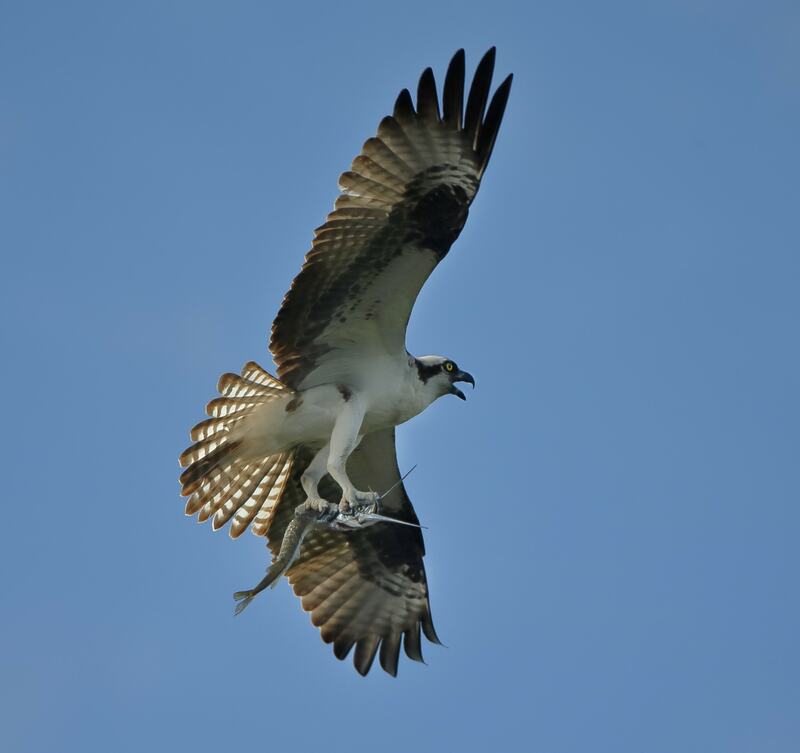 The main target species was obviously the osprey, the lake that we use for photography has somewhere in the region of 200 nesting pairs in the tree that line the waterline & actually grow out in the water of the lake. 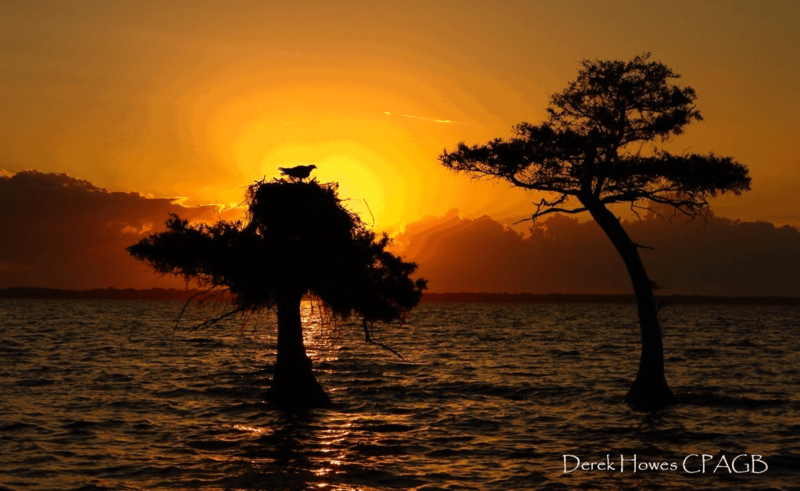 Photographing from a pontoon boat means that the nests are virtually at eye-level & easily approached. 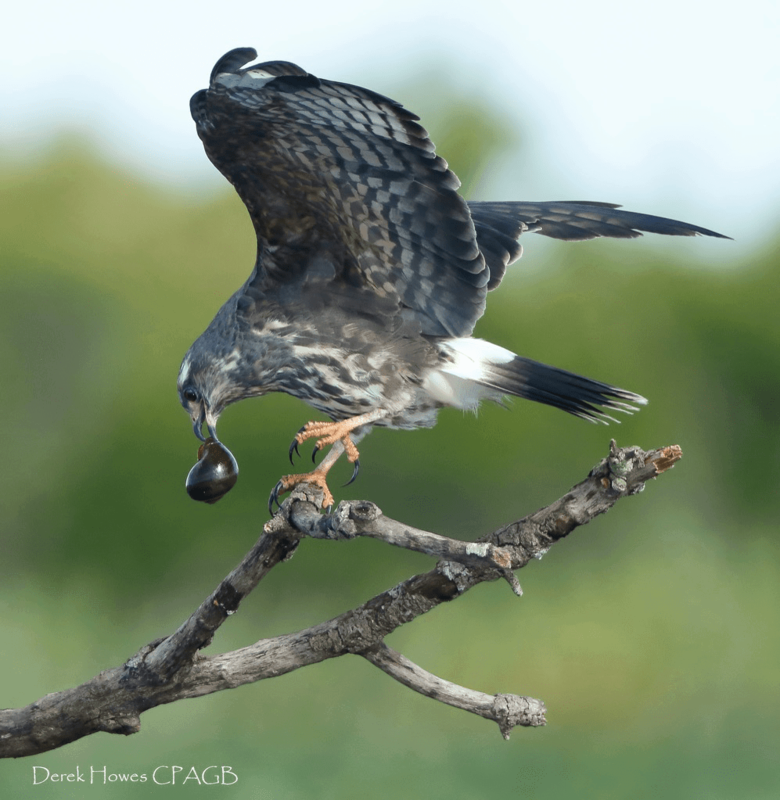 This is the snail kite, as Derek mentions above, the third rarest bird in North America, we were honoured to be able to spend several sessions with the birds, for context, the shell of the snail that the kite has caught is about the size of a ladies fist! 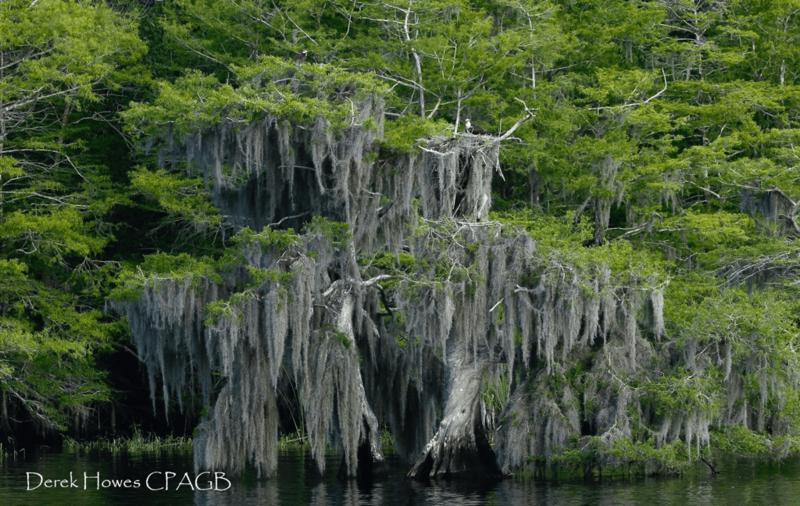 These are the cypress trees that line the lakes in which the ospreys are to be found, with trunks rising out of the water & lichen growing downwards, the location has an ethereal feel to it. 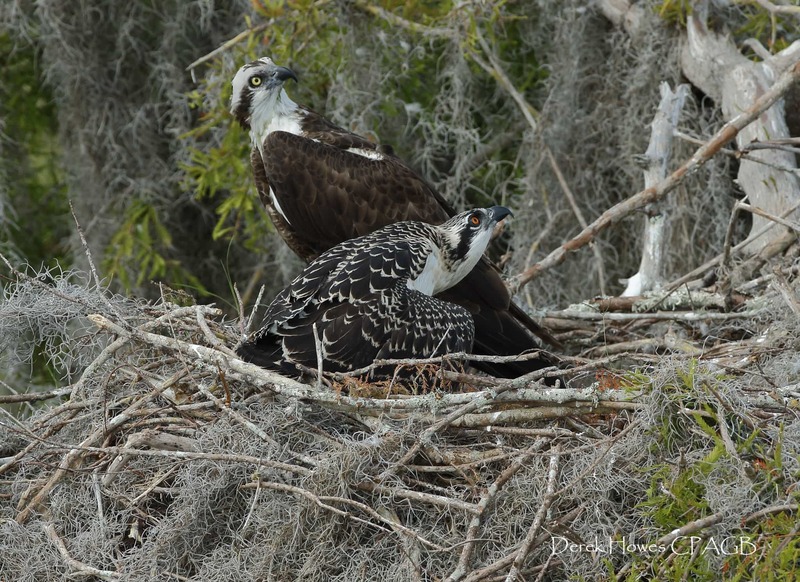 In the photo above, you can see two nests with female ospreys sat a top of them. Early starts, leaving the hotel whilst still dark, driving before the sun rose to the lake, it was necessary to be out on the lake before sunrise, manoeuvring the boat into position so that images like the above were possible to achieve! 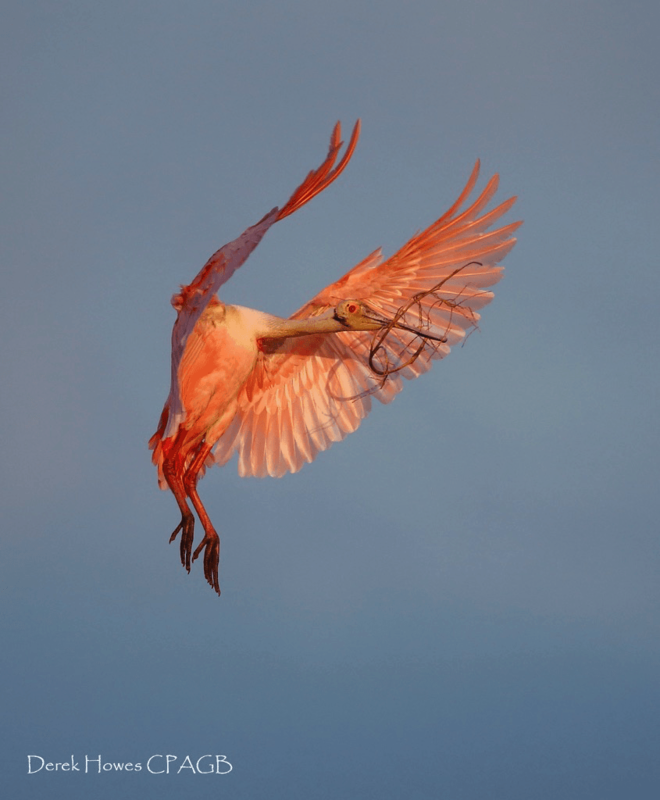 Apart from the ospreys, we spent time photographing the birds of the various rookeries, the roseate spoonbills were a favourite with our clients; here one is seen bringing in some material for the nest. 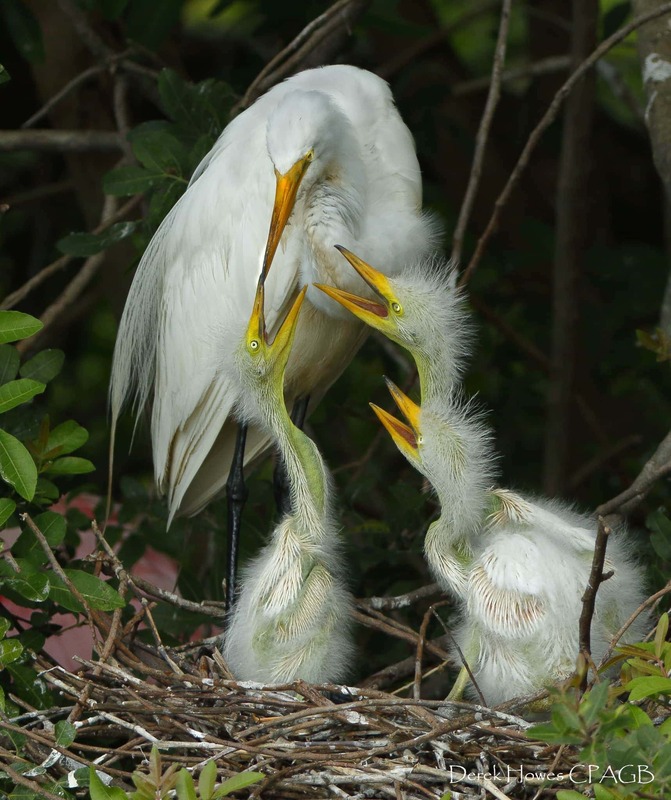 Along with the roseate spoonbills, the rookeries are home to many other birds, including cattle, snowy & little egrets, all of whom are nesting, some with new clutches of legs, some with freshly hatched young. 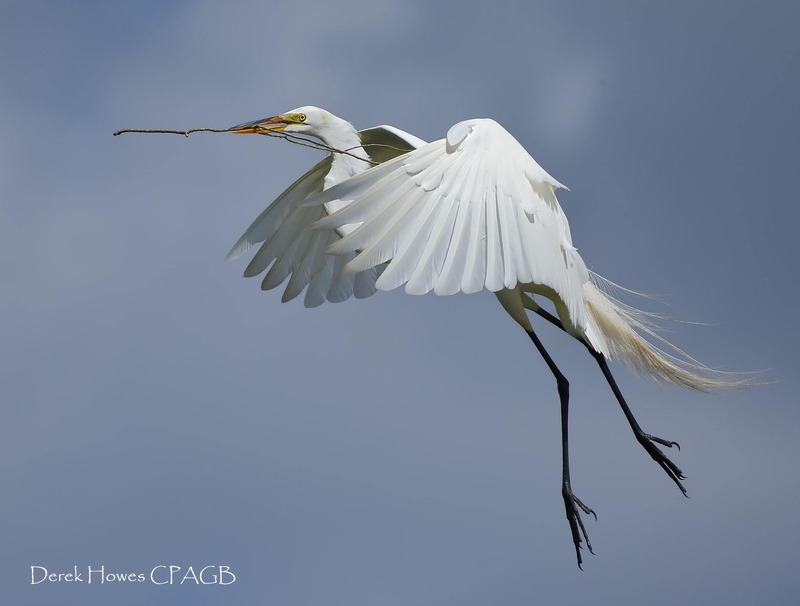 It was tough to catch the egrets as they swooped down to the water to gather twigs & sticks with which to reinforce their nests in the trees that lined the central islands of the rookery. 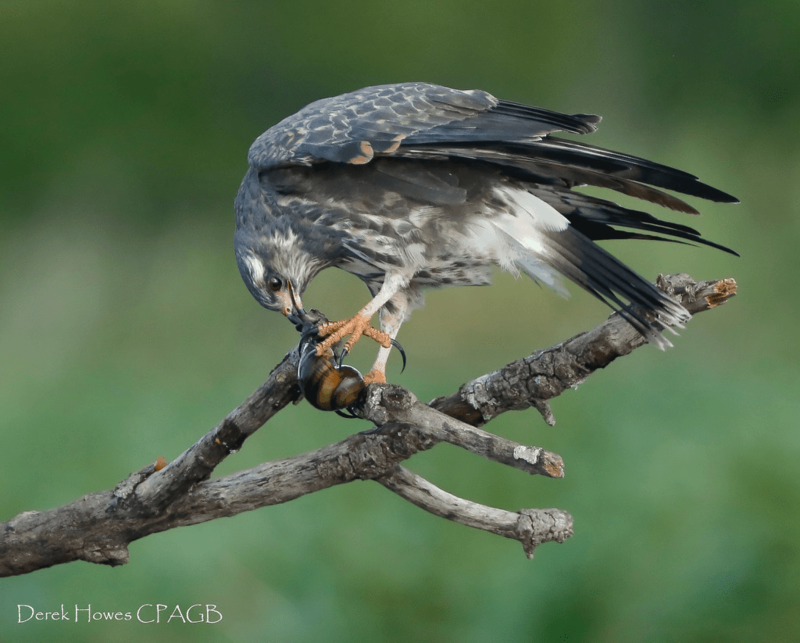 A snail kite lands on a perch which one of the apple snails that make up the bulk of their diet, this had just been scooped from the lake. A mother osprey guards the nest which contains her precious offspring, during the week, we saw osprey chicks progress from freshly hatched to fully formed & gaining in confidence. 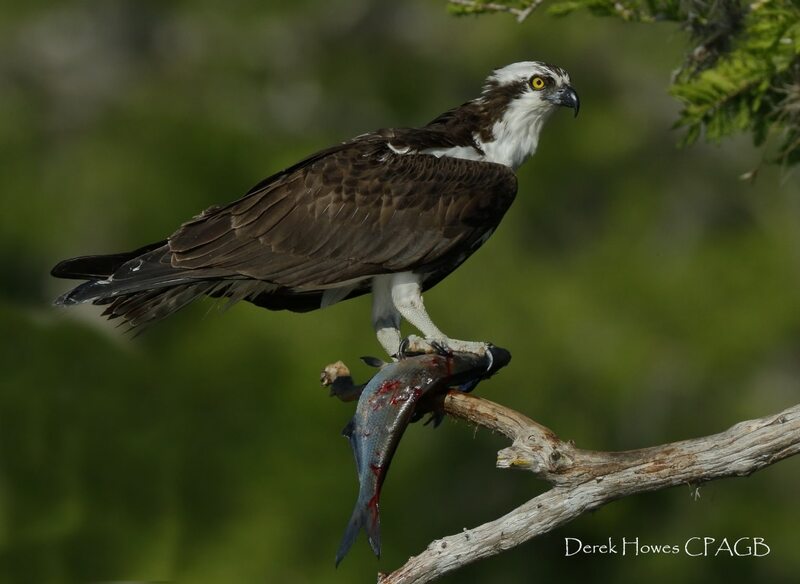 One of the male ospreys brings a fish in to a tree branch, here the observed behaviour was for them to kill their catch & remove it’s head – this was so that the chicks would not be confronted by a live & frantic fish. A male osprey returns to it’s nest with lichen & branches with which to line the nest. Following a successful fishing attempt, a male osprey returns to the nest, calling to it’s mate to announce the impending delivery of food! 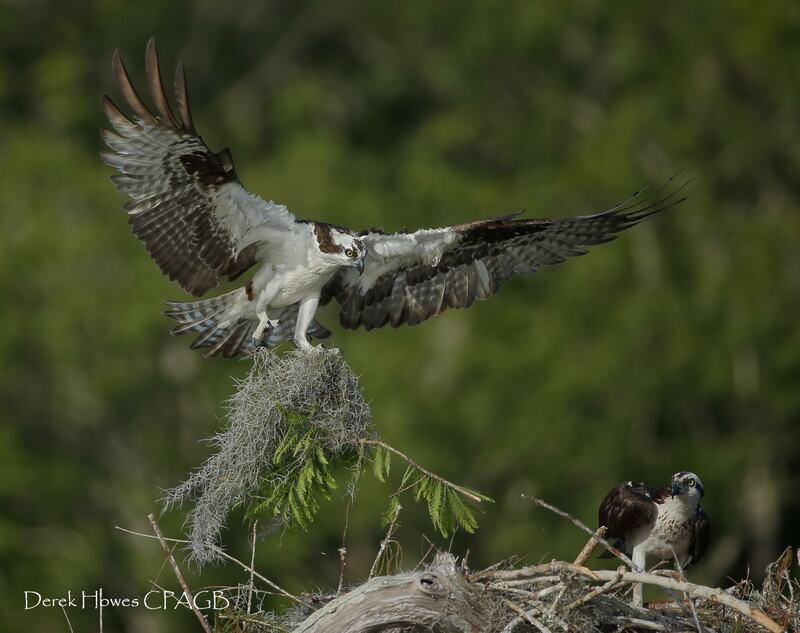 Landing with amazing precision & at full stretch, one of the male ospreys returns to the nest. 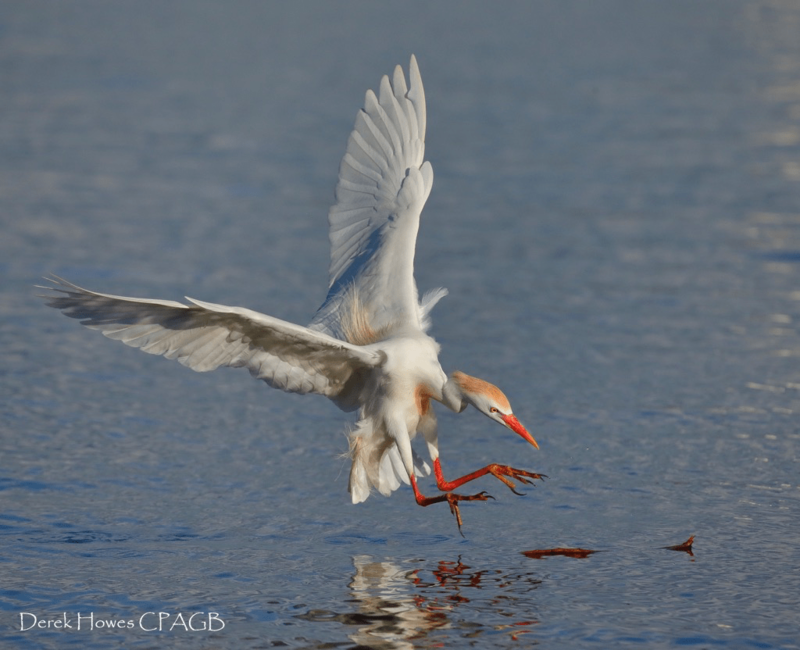 One of the egrets that we encountered whilst in the rookery area – again on a pontoon boat – here bringing nesting material back to the rookery. At the beginning of the week, this egret mother was sat on her legs, but by the end of the week, they had hatched & grown, now competing for food from their mother. Another successful snail hunting outing sees this snail kite flying to a perch, once at the perch, the snail will be removed, eaten & the now-empty shell discarded. 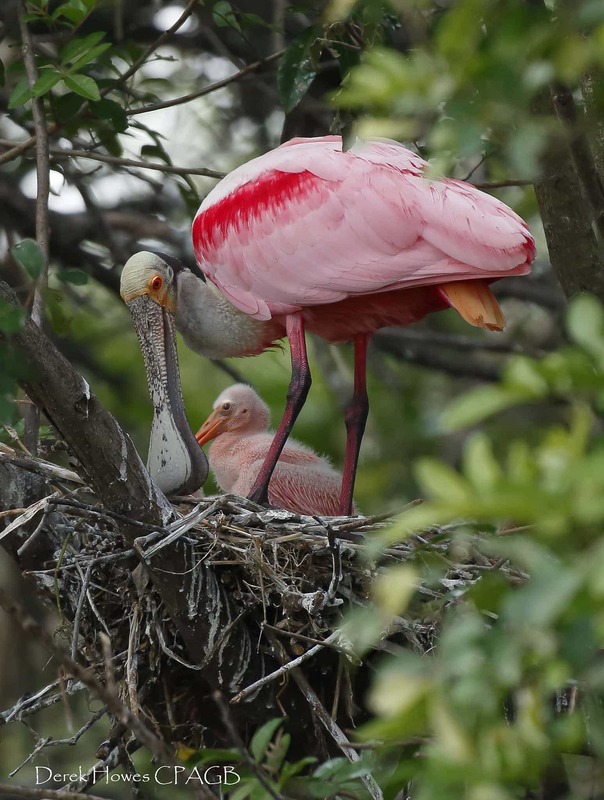 One of the roseate spoonbill mothers tidies the nest in which she will bring up her new offspring for the first weeks of their life. 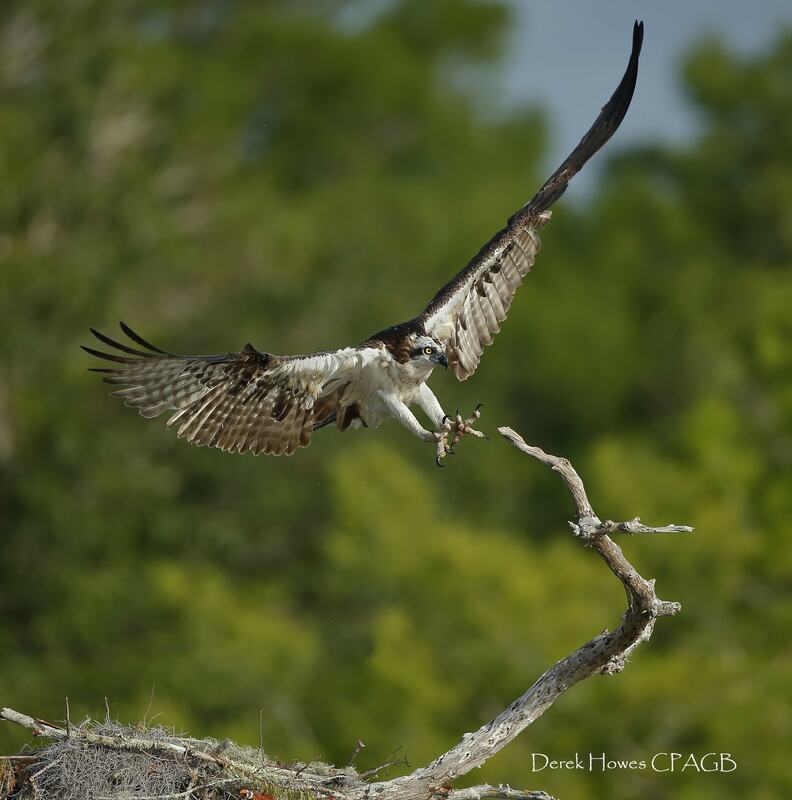 This entry was posted in client images, galleries, worldwide tours and tagged barred owl, burrowing owl, egret, florida, kite, osprey, rookery, roseate spoonbill, snail kite. Whatever your query regarding our photography holiday, A great selection of client images from our Osprey, please fill out your details below & we will get back to you.